In my last post I discussed the argument from Tony Wagner and Ted Dintersmith that the skills that students leave schools and universities with are not the skills that are in demand by employers, or the skills that they will need for life. Today, as it's a national holiday in India, I've been able to spend time this morning reading the 2015 World Economic Forum's Vision for Education. This publication basically states the same as others that I've read recently: that students must not only possess strong skills in language arts, maths and science, but must also have other skills such as critical thinking, problem-solving, persistence, collaboration and curiosity. The reality is that too many students are not getting the education that they need to succeed, and companies are not finding enough of the skilled workers that they need to compete. Through automation and digitization of work, technology is now increasingly able to do jobs that involve both routine manual and cognitive skills. At the same time, jobs are emerging that require more non-routine and interpersonal skills. The report highlights the fact that in 2014 more than a third of global companies reported difficulties in filling positions because of a shortage of people with key skills. 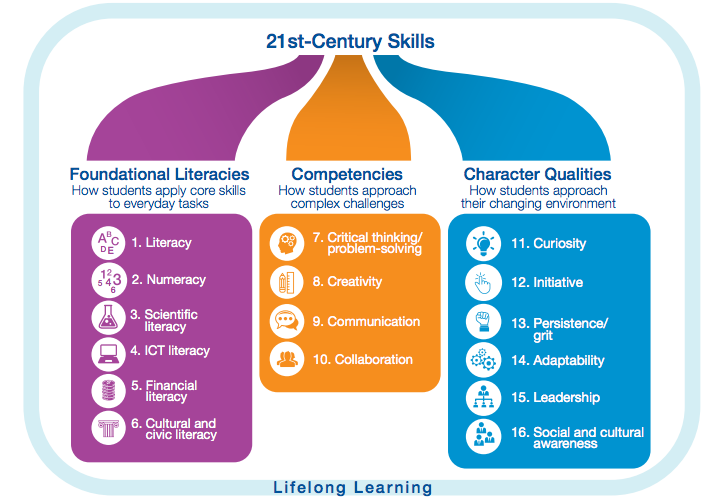 The World Economic Forum conducted a meta-analysis of research into 21st century skills in primary and secondary education, and came up with this graphic of 16 skills in 3 categories. The Foundational Literacies have involve the skills needed for everyday tasks. 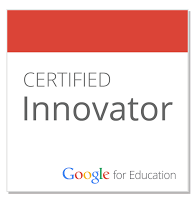 Acquiring these skills has been the traditional focus on education around the world. But in today's world, these skills are only the starting point. Competencies in approaching complex challenges such as being able to critically evaluate and convey knowledge and work in a team, are now seen as essential to the workforce. The final category of Character Qualities concern a person's ability to work in a changing environment. But here's the problem: assessment tools used in schools traditionally focus on measuring the foundational literacies. Additional tools and indicators need to be developed that can measure competencies and character qualities. Enjoyed reading a number of your articles. Thanks for your thinking and sharing.